You are here: Yellow Spark > blog > Leadership > Are You the 4th Team Player? One day, while travelling in his car, Lincoln came across three construction workers trying to lift a heavy stone. He realised that they could not successfully lift it because the man on the fourth corner was missing. So, he got out of his car, helped them lift the stone, and together they carried it to the desired destination. Lincoln then went back to his car, without giving them any clue that he was the president of America. For me, more than a story of great leadership, this was a story of great teamwork…because till that fourth person is missing, you can’t really achieve your goal. And that fourth person very often is the team leader himself. Many in management roles believe it is only the job of their team to act like team players… Their role is to merely set the mandate and let the rest figure out the way forward. Managers may also be of the view, that if they work too closely with the team they will upset the power equation. They will no longer command that position of seniority; they will become more accessible, and also land up taking on more work than if they had kept to the sidelines. In fact, a great team leader would exhibit all the traits of a great team player…simply because he is more committed and responsible to the team than even its members. The days of hierarchy and cooperation are over, as was discussed in the last leadership article… The time has now come for those in management positions to play a collaborative role that is proactive, supportive and responsive. Managers should not just enable the accomplishment of set goals, but also enable the growth of individual team members…and this can only happen when there is genuine concern and a sense of responsibility. A common adage goes: ‘Show up, stand up, speak up, serve up.’ Thus, the first part of any good team player is to show up… Try and be present for team meetings and be available to other team members too. A good team player is one who everyone can depend upon…one who shows up and delivers no matter what. Excuses, shirking work, or procrastinating are definitely not traits of good team players. In fact, be proactive and prompt, deliver before time, and go beyond the scope of work if needed. Good team players work with commitment and consistency, seldom letting their team members down. As a good team player, you need to be aware of your roles and responsibilities in the team. You should also stay focused on the final goal to be achieved and work in tandem with that goal. So, come prepared for meetings, and ask questions as necessary. The sign of a good team player is to exceed those defined roles and stretch in order to achieve the goal… At times, you may even need to learn a new skill for this. As an active team player, you should also volunteer for jobs, rather than being prodded to do so. Moreover, when it’s the time to deliver, throw away the concept of fixed hours – like 9-5. You may just need to clock more hours to ensure the job gets done. Being in a team is primarily about taking responsibility – responsibility for your work and the work of other team members as well. When you start with a vision to accomplish certain goals, you have to actively participate in every aspect of the goal…even if it means taking care of tasks other than yours. The end goal should be the most important for a team player, keeping all other things like ego, designation, hierarchy and personal differences aside. This does not mean you do everyone’s work; all it really means is that every problem the team faces is your problem as well… Sometimes all you will need to do is simply step in and help others find solutions. A good team player also needs to be a good communicator; one who does not hesitate to speak his mind, chip in with ideas, and share whatever knowledge he has on a particular topic. There is no point in holding on to information, or sharing it in bits and pieces. In fact, the more freely you share what you know, the more empowered your team members will get, ultimately helping them achieve their targets sooner. Additionally, as a good team player you will also need to be an active listener, taking in everyone’s viewpoints and learning from each one. It’s also important to be sensitive to the team members, not get personal, but stick to the topic of discussion, and be as professional and courteous as you can. Goals posts are constantly reset in teams…and this requires you as a team member to become flexible and change as per the requirements of the job. To become a good team player, you thus can’t be rigid in your views or working ways…you will need to adapt to the need of the hour. In the same spirit, it also becomes essential to let go of your opinions, and not hold on to them just to prove yourself right. Instead, accept what is more logical and support those who have a clear strategy. The idea in a team is not just to be right, but to be right for all. If you can keep that bigger picture in mind, you are truly acting in the best interests of the organisation. This is probably one of the most important characteristics of a good team player because teams are primarily formed to solve problems. As a good team player, first become a solution provider; confront problems, rather than run away from them, and feel responsible to solve them. Rather than blaming anyone, or the organisation, your approach should be a solution-oriented one that benefits all. I remember many years ago, the door to my cabin had a poster which said: ‘Are you here with the solution, or are you part of the problem.’ This one line was read by everyone who entered, and, consciously or subconsciously, most learned to focus on the solution instead of the problem. For all of you in management positions, you can play a key role in the dynamics of a team. It is more essential that you step into teams and take on responsibility, rather than step out and leave the team feeling rudderless and directionless. Being with people is more important than just managing them remotely… When they know you will give as much time and energy to the goals set as they do, they will have greater confidence in your management capabilities. Moreover, being a team player keeps you more vested… You will become closer to the team and its issues, and you will become closer to yourself too, learning and growing as you support those around you. How are the team dynamics in your organisation, and how actively involved are you with your team? 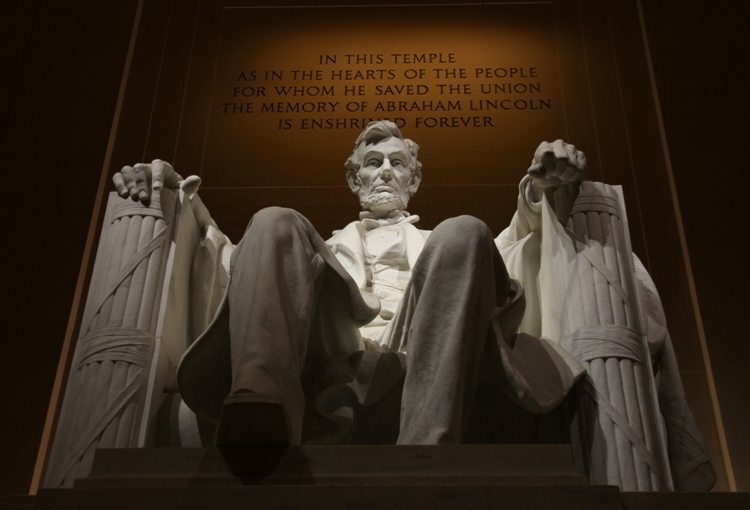 Are you a remote manager…or, someone who will hold the fourth side of the stone if needed, just like Abraham Lincoln did?